New York City is sometimes referred to as Metropolis, Gotham City, Empire State, Melting Pot, or the Big Apple. The city goes by many different names. Regardless of what you call it, at some point in your life, it may have been your dream to visit this beautiful city. If you are thinking about making the move to New York City, maybe you already halfway out the door, wait just a minute. At National Dispatch, we pride ourselves in making our customer’s lives much easier by offering hassle-free car shipping services. We can even help relieve some of the stress from your move to New York City. Learn more about New York Car Shipping. You may be wondering why you should ship your car to a city that offers so many conveniences. When you are within walking distance to public transportation and you can get an Uber at the click of a button, why bring your car? Many people find having a car to be a great luxury. It is especially beneficial for those living just outside the city to get from place to place without the hassle of dealing with other forms of transportation. If you decide to move to New York City or the surrounding area, here are a few benefits of shipping your car over driving it. If you rely on an auto transport company to get your car to its destination safely, then you can relieve yourself of some of that responsibility and stress. As long as you choose the right company for the job, you don’t have to worry about anything. Car shipping companies train their employees with all the rules and regulations of the road. They have all the training and experience necessary to ship your car in a safe and timely manner. Representatives are also available to assist you with selecting car shipping services that best suit your needs and budget, so that you have the best experience possible. By shipping your car, you save money on gas and other travel expenses. You also save a lot of time that otherwise would have been spent on the road, driving to your destination. Learn more by reading 4 Key Benefits Of Auto Transport. New York is home to one of the most unique metropolitan areas in the world. 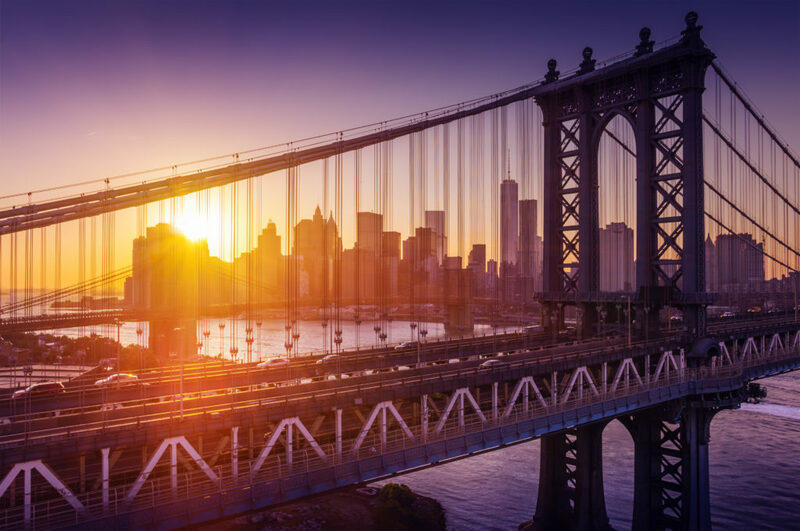 Despite the cost and the crowds, New York has people continuously coming to visit or relocate to one of its five boroughs. This is mainly due to all of the opportunities that can be found within the city. From redefining fashion to creating a new food, there is something for everyone. Manhattan is what most people think of when they hear New York City. It is home to Times Square, Wall Street, and Central Park. It is common among tourists and new residents. However, it may not be the smartest choice when it comes to buying or renting property. Manhattan is one of the most expensive places to live. For the price you pay, you do not get very much property. A lot of residents decide to live in other boroughs because of the tourism that heavily influences Manhattan. However, if cost is not an issue, than this area is a great choice. It is the friendliest borough and the easiest to commute to and from, because it is home to many corporate headquarters. The Bronx is most commonly known for being the home of the New York Yankees, the Bronx Zoo, and the Botanical Gardens. It is also famous for being the birthplace of hip-hop music. Currently, The Bronx is seeing cultural revival due to new affordable housing initiatives that have brought in an influx of people. However, due to its troubled past, The Bronx remains the least popular of the five boroughs. Queens is the largest and most diverse of the five boroughs. Due to its size and diversity, many people say that it is the best way to experience true New York. Nearly half of the residents in this borough are born outside of the U.S. Because of its size, there are plenty of housing options ranging in price from less expensive to very expensive. In Queens, you will also find the home of the New York Mets and two of the three busiest airports serving the city. Brooklyn sits on the western edge of Long Island and is the most popular borough. It is known for its culture and social diversity. Brooklyn has a very rich art scene and distinct architectural designs. Housing prices are on the rise, but if you can afford it, you will not be disappointed. Staten Island feels more like a suburb of New York than it feels like it is a part of New York. Unlike the rest of the city, houses will have more space and a family feel. In the center of the borough sits a 2,500-acre greenway with walking trails and parks. However, the trade-off for space and serenity is a long commute if you work on the other side of town. There is a free ferry that goes between Staten Island and Manhattan. This helps the commuters, but also provides great views of Ellis Island and the Statue of Liberty. National Dispatch is a nationwide car shipping company with a company-owned fleet. What sets us apart from competitors in the industry is our dedication to providing quality auto transport services at a competitive price. Unlike many other companies in the industry, we provide a free, instant car shipping quote that requires absolutely no personal information. If you would like to book auto transport services, please give us a call at 800-321-2051. You can also chat with us online if you have questions. We understand how challenging a move can be, especially since you will be starting a new life in a new city. In your old city, you probably had a list of companies whom you relied on for day-to-day services. Moving means that you must find new companies to do business with. We have a list of our recommendations for the New York City area, starting with who should help you move.